Dance classes are offered to children age three and older. Ballet Classes are one hour long. Around the end of February, parents will be requested to remit a non-refundable down payment of $75 for the costume rental cost. The deposit will ensure your child’s spot in the Annual Recital. The balance of the rental cost will be due by May 15th. 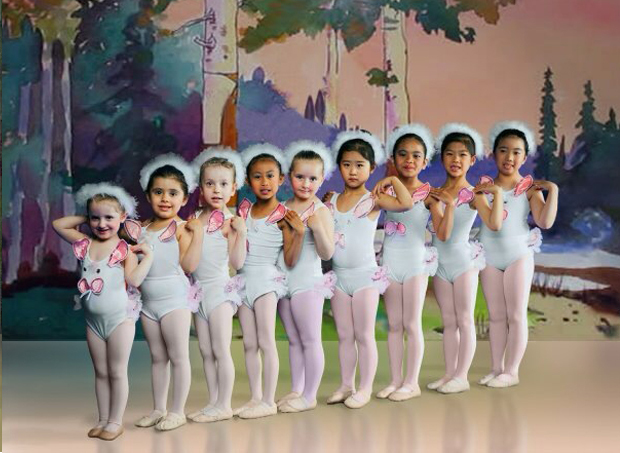 Donita Ballet School understands that not every student who enrols in dance classes wishes to be a professional dancer. However, the quality of teaching that Donita Ballet School provides gives the students the option to pursue a professional dancing career. Parents and students must avoid making any plans that would interfere with dance classes, rehearsals and recitals. Absences slow down the progress of the student and are very disruptive to the class.